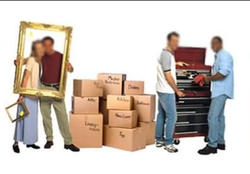 Each member of your removal team has undergone comprehensive training and have been fully instructed on which packing materials are best suited for removal and storage. Where it is impractical, due to size or time constraints, to remove an existing heat exchanger from the vessel or site, Fitwell Corporation provides comprehensive on-site services. Our own highly skilled, fully equipped teams are available to travel any where, usually at short notice, to undertake all types of re-tubing operations, repair and installation services.